I hope you’ll be able to join me this Thursday, Nov. 6 at 8 pm Eastern (adjust the time for your time zone) for my Too Loved to be Lost online book launch. 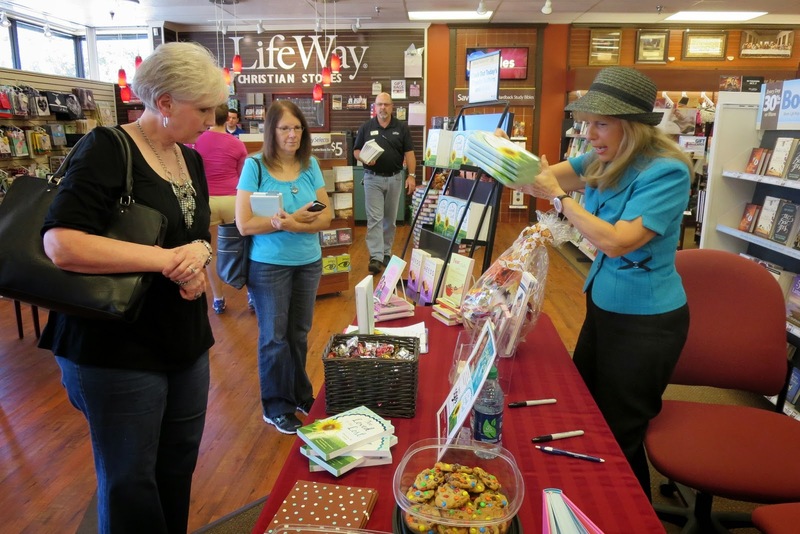 If you’ve never been to a Facebook party before, trust me – you’ll love it! It’s like a giant chat room where BFF’s from all over the world gather to connect hearts for an hour. I hope my new friends from New Zealand, Puerto Rico and Italy will drop in again like they did at the last one. We’ll be chatting about all sorts of things at the FB party, playing cool games, giving away prizes every few minutes, and at the end of the hour, there will be a drawing for a new Kindle HDX. Please join in the fast-paced fun – it’s a real blast! I’ll bet you a nickel you’ll declare it was the best thing you did all day. Here’s the official site and details below … Be sure to mark your calendar now and click on this link to get your name in the pot for the big prizes! https://www.facebook.com/events/827825463906082/. Enter today; but hurry, the giveaway ends on November 6th. 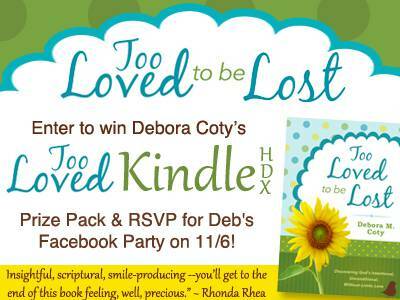 Winner will be announced at the Too Loved to Be Lost Facebook author event on 11/6. 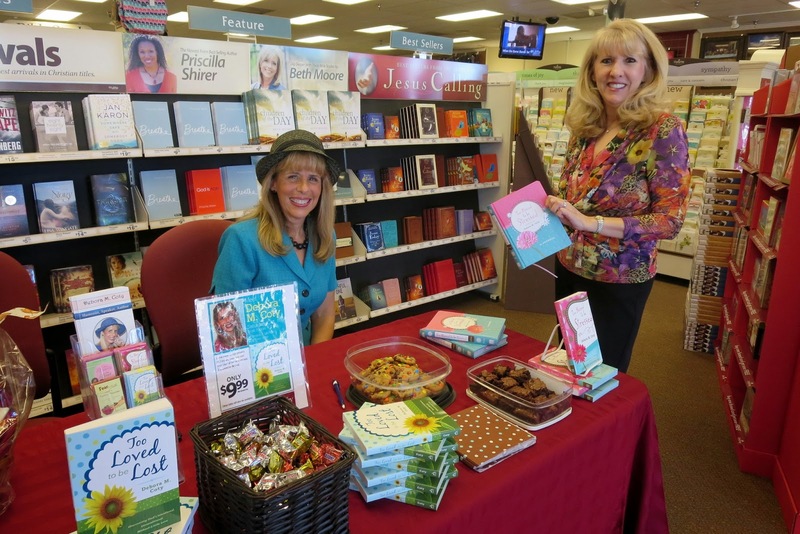 Join author Debora Coty for a humorous and encouraging evening centered around God’s unconditional love. Debora will be hosting a fun chat, giving away prizes, answering your questions, offering an exclusive peek at her next book, and much more! Giveaway open to US & Canadian residents only.